This documentary has a distinctive and effective approach that brings together six World War II veterans with six high school students so they can learn about real history. The six veterans from four different aircraft carriers survived kamikaze planes that hit their ships on November 25, 1944, off the east coat of Luzon in the Philippines. The film focuses on what happened on November 25, 1944, and presents the events in a well-organized manner. The six American veterans first get introduced, then the six high school students, and then what happened on each of the four carriers. The high school students get interviewed at the beginning to give their ideas about the Pacific War and kamikaze pilots, and later after talking with the six veterans they express their reactions and how their views may have changed. The high school students ask honest and probing questions to the veterans as they present their stories. These questions and the answers provided by the veterans will interest not only students but also adults. For example, Issa Blondeau, a sophomore from France, asks, "Don't you guys kind of feel similar to them [kamikaze pilots] because you knew as well you were going to war and you were taking the risk of dying?" Inny Cerbini, a fireman aboard USS Hancock during the attack on November 25, angrily responds, "We wanted to live for our country, not die for it!" Issa later expresses to an interviewer his regrets for this question, saying that he did not mean to hurt Inny Cerbini, but he did learn how strongly American veterans felt about their service for their country. The copyright year at the end of the film specifies 2004, but the DVD disk cover says 2007. The documentary mentions at the beginning that the interviews took place aboard the Intrepid Museum 58 years after the kamikaze attacks, which would be 2002. There used to be an informative web site associated with the documentary, but it is no longer available. A 40-page Teacher Study Guide for the documentary used to be sold with some of the same information that was available on the web site. 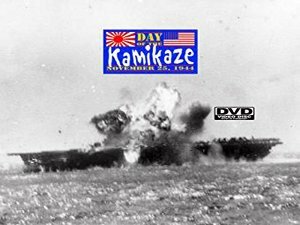 A web page on the former site of MFA Productions, who produced the documentary, says that Day of the Kamikaze: November 25, 1944 first aired on Austrian Public Television on November 26, 2004. The variety of positions held by the veterans helped the students understand the different jobs that needed to be performed in fighting the war. The students keenly felt Frank Maurizio's comments about his many friends killed in his previous battle station when he broke down in tears while telling the story about the kamikaze plane that hit Hancock on April 7, 1945. Many veterans expressed that they did not understand why kamikaze pilots made such attacks such as Cerbini's comments, "To physically dive a plane into a ship we thought was insane, absolutely insane. But you got to understand, if they took out the carrier, they took out eighty aircraft. At least eighty planes could no longer fly if they damaged the carrier." Frances Choi, from Korea and editor of her high school newspaper, expresses her positive opinion of kamikaze pilots, "These pilots weren't just machines. They were actual people, and they knew what they were about to do. To me I sort of admired them for the sacrifice they were making, their willingness to die so that their country would be safe." After hearing the comments of the six veterans, she explains, "Mr. Masucci actually stuck out, I guess you could say. I noticed that he was the only one who acknowledged the kamikaze as in a way brave for committing their lives to their cause." Hannah Kilgore has a different opinion, "It's just unbelievable that someone would give up their lives in the desperate hope that they would bring something or someone else down with them. I think it's abominable." The details of the history presented in the documentary have a few drawbacks. The narrator mentions the names of four Japanese kamikaze pilots, but no explanation is provided as to how their names were determined. Streb's book Life and Death Aboard the U.S.S. Essex (1999) claims that Yoshinori Yamaguchi hit the carrier Essex, but no evidence is provided. The documentary incorrectly states that 125 kamikaze planes in five squadrons as part of the Yoshino Special Attack Corps took off from northern Luzon bases, most from Mabalacat, on November 25, 1944. Hara (2004, 147-8) indicates that 27 special (suicide) attack planes with 37 crewmembers took off and did not return on November 25, 1944. Only eight of these planes, which were Zero fighters in the Yoshino Special Attack Squadron, took off from Mabalacat Airfield. None of the planes from other bases were part of the Yoshino Squadron. The one map in the film erroneously shows Mabalacat far north of its actual location in central Luzon. Regarding the formation of the Kamikaze Special Attack Corps in the Philippines, the narrator says that Vice Admiral Ohnishi convinced the entire 200th Sentai Fighter Squadron to join, but the pilots actually belonged to the 201st Air Group. Ohnishi's given name is shown and pronounced incorrectly as Takajiro rather than Takijiro. This excellent documentary does not try to sensationalize the Japanese kamikaze attacks. Instead, the six veterans and six students express their own varied opinions regarding kamikaze pilots and attacks. The film also introduces how eight black mess attendants, facing prejudice in the Navy where they could officially hold only limited positions such as stewards, volunteered as gunners aboard the carrier Essex and died on the first day that they engaged in battle on November 25, 1944. Hara, Katsuhiro. 2004. Shinsō kamikaze tokkō: Hisshi hitchū no 300 nichi (Kamikaze special attack facts: 300 days of certain-death, sure-hit attacks). Tōkyō: KK Bestsellers.